Specifications:: Maximum weight: 3-8 kg. VESA Compatible: 75 x 75 mm and 100 x 100 mm. Suitable for tabletop thickness from 16 mm to 56 mm. Length fully extended: 518 mm. Hardware for grid EA-119 available upon request. Color: - Silver - (Black and white available on request). Adjustable gas-strut monitor mount. 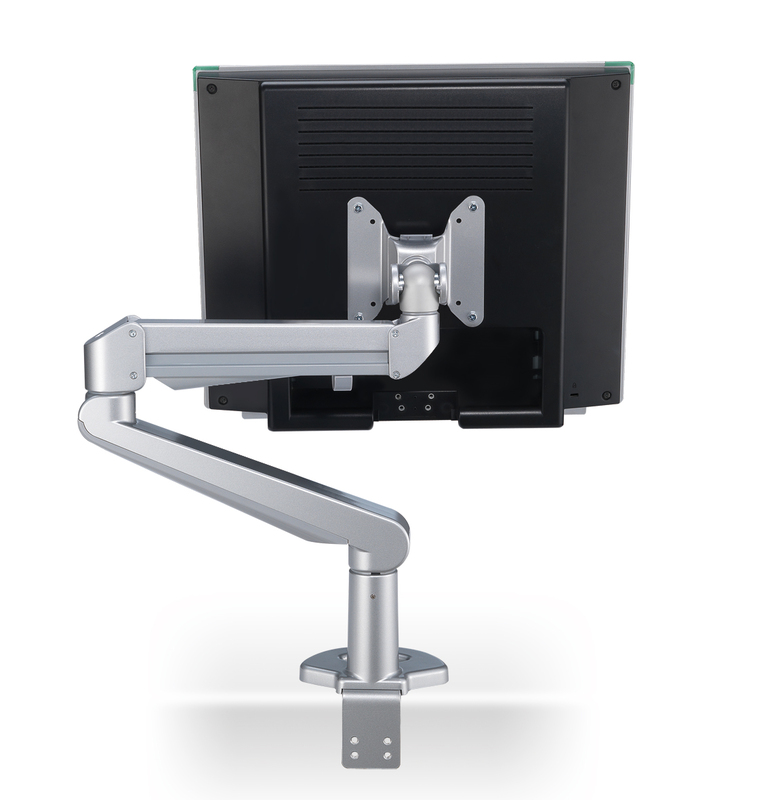 Monitor arm provides seemingly effortless support for flat screen monitors.